We’ve added the possibility to select the ‘Allowed Rules’ for each created user. The ‘administrator’ user is fixed and has full access to all rules. 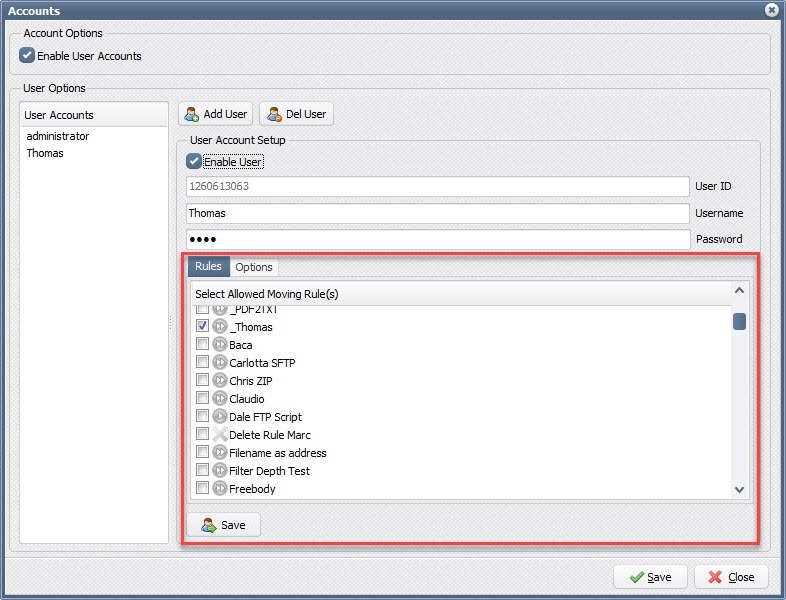 The ‘administrator’ is the only user who is allowed to access the ‘Accounts’ setup. A second tab allows you to control the options that are allowed for each user. 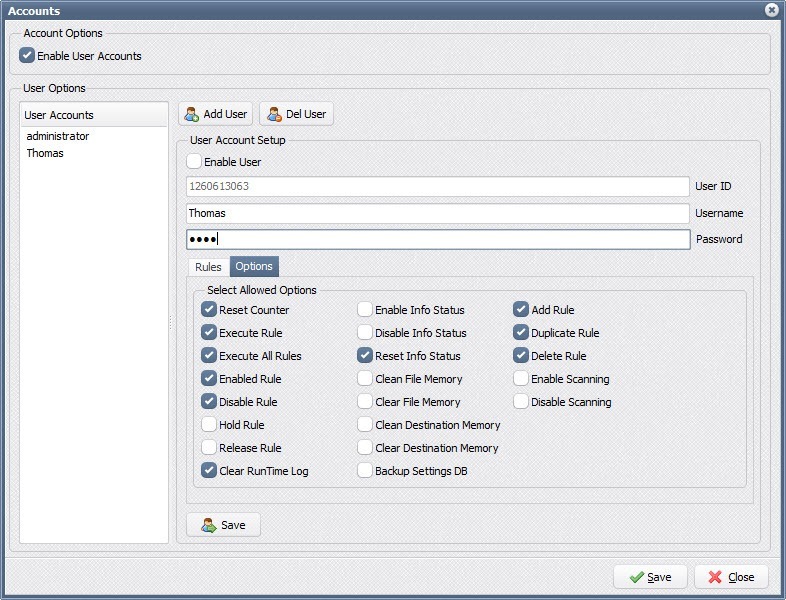 The ‘administrator’ user has full access to all options. We’ll keep adding more selection options so you can fully control user access to our file mover.